Having some Old Joe Krantz in a Stanwell 185 at a quarter til February. It's still the 31st here in SE LA too, but time is a construct blah blah blah...Peterson Irish Oak in an older, bamboo-shank MM cob. Mac Baren HH Acadian Perique in a figural meer by Baglan, with coffee and the morning paper. About half way through this bowl of Peretti Coffee Blend in a 1979 smooth slight bend H. Jones Ltd. Easy Loader 391 Dublin with a black vulcanite stem. Simply Apple is my drink. A quarter of the way through this bowl of year 2014 Edward G. Robinson's Pipe Blend in a 2014 Basil Meadows smooth slight bend squashed tomato with an aluminum band and a black pearl acrylic stem. Half way through this bowl of Wilke No. 184 in a 2018 David S. Huber 5718 medium bend black sandblasted billiard with a black acrylic saddle stem. Granger is a Made in England Basket Pipe with crazy thick walls. A great smoker. Mac Baren HH Burley Flake in a figural meer by Baglan, with coffee. GL Pease Fillmore in a Comoy's bulldog. Now smoking Viprati in a smooth straight early 1960s Lane era Charatan Executive Extra Large stretch apple with diagonal channel cuts on the lower right and left of the bowl along with a black vulcanite double comfort stem. This pipe was formerly owned by actor William Conrad. A bottle of Cheerwine made with pure cane sugar is my drink. Enjoyed a tasty Italian sub lunch and am now smoking Bald Headed Teacher in a medium brown. smooth octagonal paneled bowl and shank, medium bend 2016 Tim West Book Keeper 6 with a black acrylic saddle stem. Watching Mad Dog Russo. First smoke of the month is Dunhill Standard Mixture Mellow in a Peterson Kildare 80s Silver Mount p-lip. GH dark flake scented in bent Caminetto apple rusticated 1987. Love this stuff. Smoked 2 bowls of Sutliff 965 match proir. Sillem’s Commodore Flake in a Sav 320. Now smoking C&D Bluegrass in a medium bend raw sienna toned early Radice sandblast egg with bamboo carving on the shank and a black acrylic stem. GH Ennerdale in a MM Legend cob. Sam Gawith Best Brown Flake in a figural meer by Baglan, with coffee. Now smoking Art’s Virginia in a 1980s White Pipe straight, smooth bulldog meerschaum with an acrylic yellow cream colored saddle stem. Ice water and bergs is my evening drink. Watching a documentary on Johnny Bench. 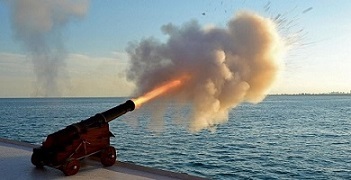 Brunello Flake In A Castello Opera 44. Walking The Dogs. 2007 FVF in the 1915 Loewe billiard. Wessex Campaign Dark Flake in a BriarWorks C23 Dark blast Lovat. Part way through this bowl of D&R VIP in a 2004 smooth long shank Canadian Trever Talbot Ligne Bretagne Faite en Bretagne 4/3 with a black vulcanite tapered stem. Bob’s Chocolate Flake in a Peterson Clontarf 999 with an after work Moosehead. Mac Baren HH Acadian Perique in a figural meer by Baglan, with coffee. Relaxing after a wonderful Lebanese lamb and rice dinner with a bowl of year 2016 Stonehaven in a straight sandblasted pre-transition Barling Exel 249 Fossil T.V.F. black billiard with a silver band and military bit with a black ebonite tapered stem. Now smoking McClelland No. 2010 Classic Virginia in a 1980s White Pipe straight, smooth octagonal paneled billiard meerschaum with an acrylic yellow cream colored saddle stem. Have about a bowl or so left of this blend. Dunhill MM 965 with some good coffee. Black Irish X mixed with some Luxury Navy Flake in a Country Gentleman. 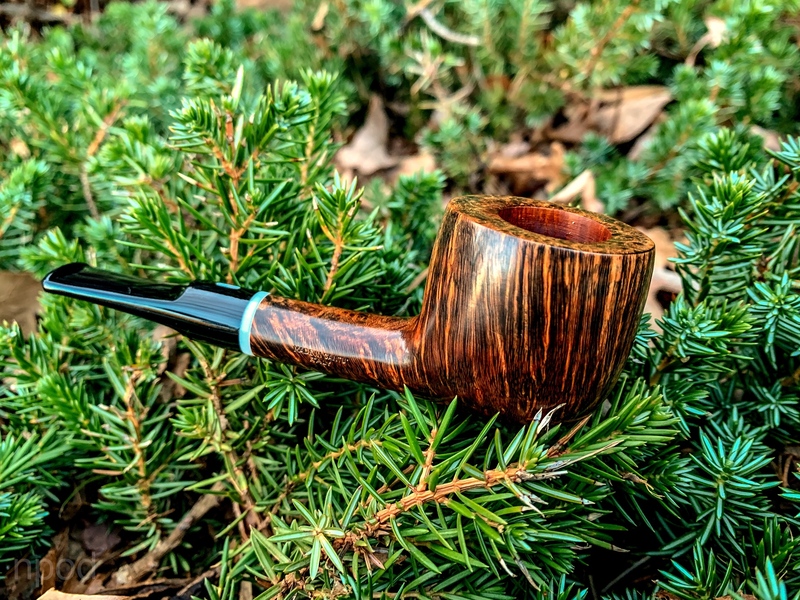 Bob’s Chocolate Flake In A Castello Opera 44. Water. W. O. Larsen Classic in a Stanislav. PS English Surpreme in a Peterson Dracula 999. Just finished smoking Jim's Va/Bur in a 2015 Basil Meadows Bing Crosby Merchant Service replica with a smooth straight thin shank, aluminum band and black ebonite stem. Working and listening to Gangbusters. Peterson's 3P's in a Pre lane Charatan Dublin, another first time. Now smoking Stokkebye Highland Whiskey in a 2013 slight bend grain etched briar John Barrett Volcano with a walnut shank and a black plastic stem. 2014 Esoterica Dunbar in a 320KS. Listing this a few minutes early: Dunhill Elizabethan Match in my trusty 1970s smooth three quarter bend Peterson System Standard 305 with a black vulcanite p-lip stem. Now smoking year 2015 Orlik Golden Sliced in an egg shaped medium bend smooth Burgundy colored 1985 Caminetto with a black acrylic stem. Have a little more work to do. Trying some 2012 H&H Ambassador's Blend from the saltedplug collection. A nice spin on the Latakia/Oriental mix. The Country Squire's Rivendell in a Peterson Sherlock Holmes Hudson. Tea to drink. Work is done for the day, and I'm now smoking D&R Raccoon’s Friend in a 1984 three quarter bend medium brown Ascorti KS Business Dublin with a black acrylic stem. Phone chatting about stuff. Part way through this bowl of Sutliff J4 Burley in a 2001 black sandblasted three quarter bend Rinaldo Lithos YY bulldog with a tortoise shell acrylic saddle stem. This will end my smoking day. Close to finishing this bowl of Stokkebye Natural Dutch Cavendish in a 1970s medium bend smooth Ben Wade Golden Walnut freehand with a black vulcanite stem. Watching The Invisible Man starring Claude Rains. Mac Baren HH Old Dark Fired in a figural meer by Baglan, with coffee and the morning paper. Just finished a bowl of Royal Yacht in a MM Rob Roy while walking the dog. Nothing like getting through -30 temps to make a guy appreciate single digits.